Do you want to reduce the time it takes to repay your mortgage and cut the amount of interest you pay to your lender? An Offset Mortgage can help achieve this. Use this Offset Mortgage Calculator to see the effects of using your savings and regular income as an offset to the amount of interest charged by your lender on your mortgage. This calculator will assume all your income goes into one central account, the same account as your mortgage. All you need to is enter some information about your mortgage, your income and any regular costs and outgoings from this account. Use the sliders to set up your mortgage - showing your regular income and expenditure. You can also add irregular income and expenditure using the advanced options. Enter a possible interest rate for your offset account? 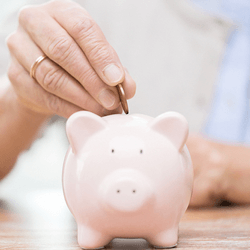 Do you have any lump sum savings you could put in your offset account? If so, how much?